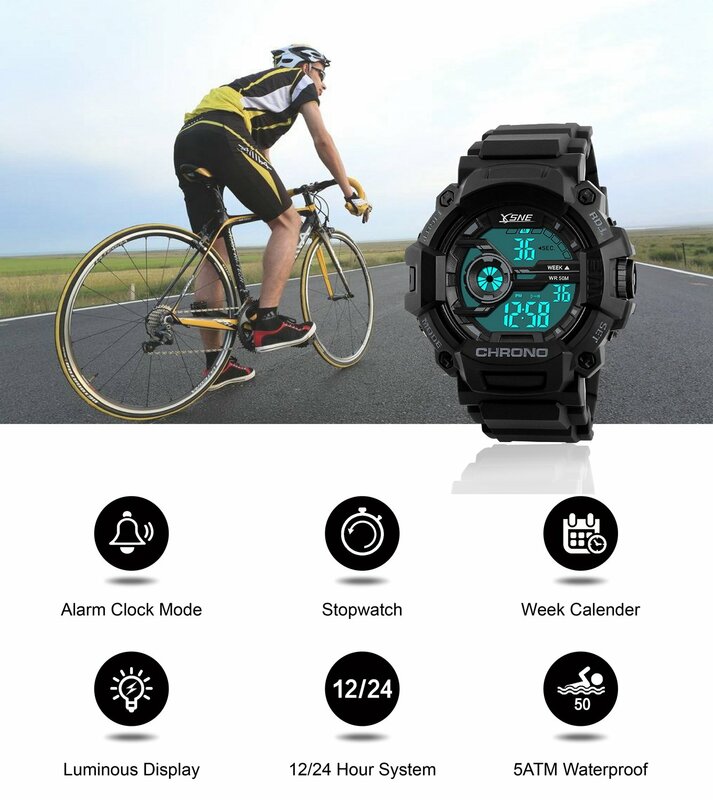 MILITARY SPORT WATCH: Calendar ,Alarm, Stop Watch, Back Light, Easy to set up and use,Includes adjust, modeand function buttons to fit your active life. 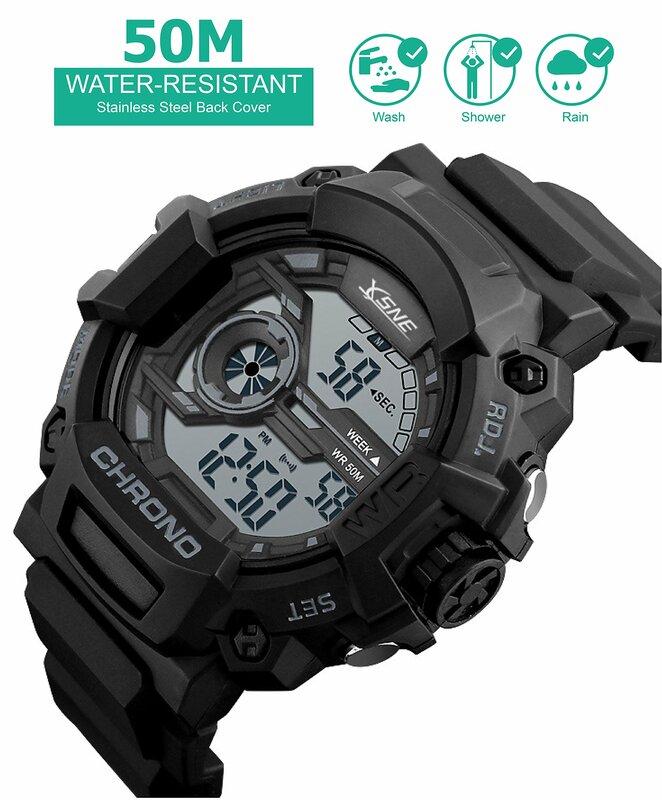 164FT/50M WATERPROOF:Can not swim, only wash hands, shower, Satisfy daily use. HIGH QUALITY:Made with quality materials which enable the watch to be tough and durable. This modern timepiece features a silver dial that allows you to see time in digital formats. Suitable for both casual or work attire, it offers numerous exciting features, such as a large digital face, alarm settings and a calendar. 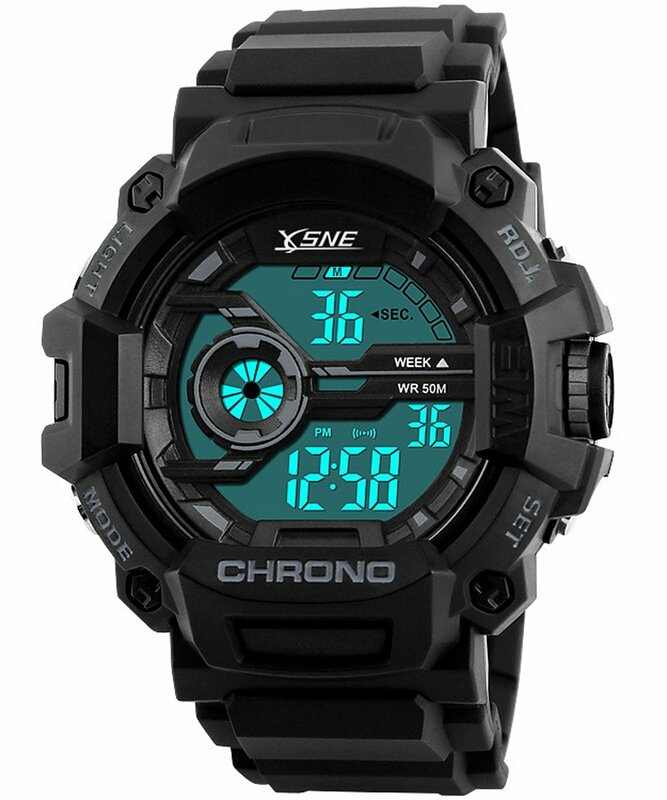 In addition to being practical, this digital sport watch is eye-catching. For the serious athlete in you, its wide face features a stopwatch and countdown timer so you can time your runs, bike times accurately. 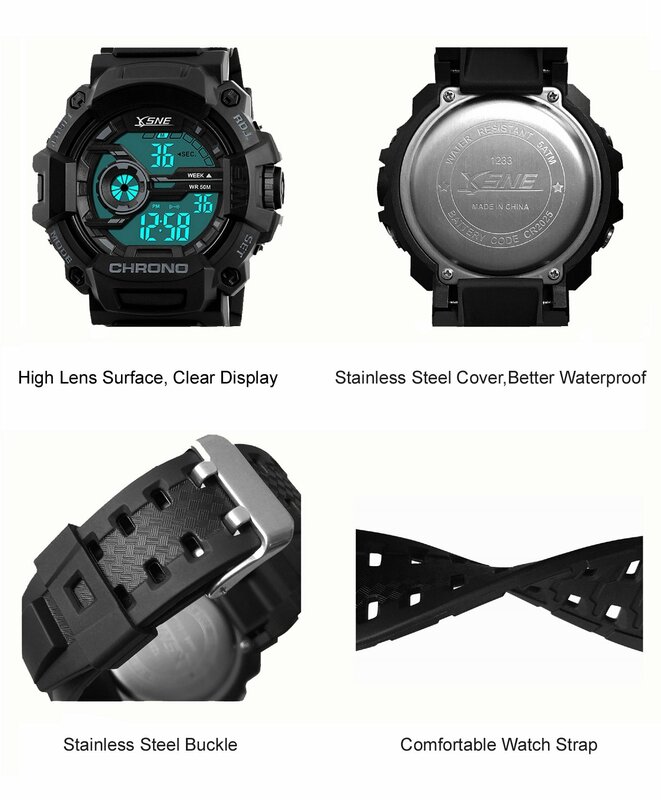 Additionally, this men’s sport watch is water resistant and can go as deep as 50 meters. The band is crafted from PU, ensuring extended durability. 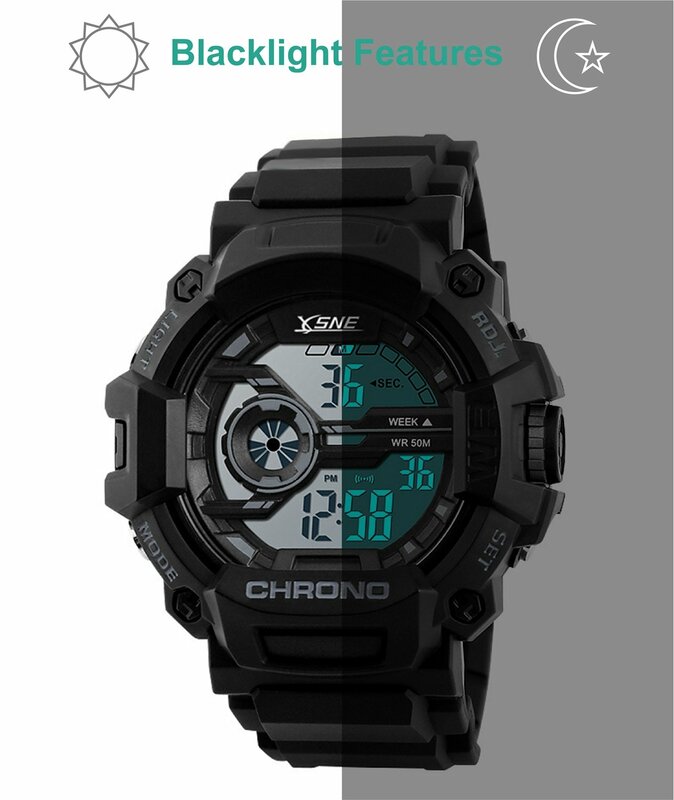 With its attractive appearance and abundance of useful functions, the Men’s Digital Sport Watch is an excellent choice. COMFORTABLE :Suitable for your wrist, Light weight and comfortable to wear. Nice watch but your right about the wording of waterproof,military looking for boys. This type of watch would make a nice affordable gift for a teenager who likes the military / law enforcement clothing style. However, I am wondering how “waterproof” it happens to be though when you are cautioned not to immerse the watch in water (I.E. No swimming).